I believe Professor X claims that the Phoenix is a consequence of the blocks he has put in place in order for the (adolescent) Jean Grey to contain/manage/control her powers. Well, he would wouldn't he? :-) Xavier's formulation cries out for reversal: surely it is also Jean who is a 'consequence of the blocks [Xavier] has put in place'. The point is that Jean is as much an effect of the repression/creation of Phoenix as the other way around. This does not render Jean Grey an inauthentic screen for the authentic Phoenix of the Id. It is, rather, a classic model of repression in the formation of an individual, and for that matter social, psyche. Yes, Jean Grey is more than her social face and yes this face masks seething desires. But such is precisely the discontent which makes Freud's psychology more interesting, and to my mind more credible, than Marx's utopianism. What I am saying here is that the Phoenix is as much a product of repression as Jean Grey; a dream projection onto those drives we can never know directly but only by indifference. In this sense, the Phoenix is a Symptom of containment rather than a positive Thing that is contained. 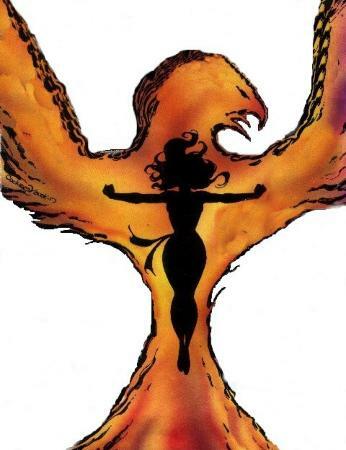 I in no way meant to suggest that Phoenix was more authentic than Jean Grey; that would be to subscribe to some hideous quasi-Lawrentian vitalism in which the 'real self' = inchoate desires kept pent up social convention. But it is precisely that model which is implied by claiming that 'Jean Grey is more than her social face and yes this face masks seething desires.' I would argue that, on the contrary, that Jean Grey is only the social face; and that the desires which seethe beneath that face (and shape it) are not dammed biologistic flux but an effect of the splitting, or spaltung, which is the primordial event of subjectivity. In other words, there is no authentic self of any kind; what is authentic is not either Jean or Phoenix but the spaltung. There is no Jean without (the repression of) Phoenix. At the same time, though, there is a radical asymmetry; Phoenix (as avatar of the Death Drive) is eternal because undead, whereas Jean is a particular mortal. But the Death Drive does not exist as some free-floating biologistic force; if it does not possess particular individual mortals, it is nothing.